"Her greatest love inspired her darkest creation"
This drama fictionalizes the life and career of Mary Wollstonecraft, a young woman who married the poet Percy Shelley and famously wrote the novel Frankenstein. The film opened in 2018 to mostly negative reviews. Elle Fanning, Maisie Williams, Douglas Booth, Bel Powley, and Ben Hardy star. 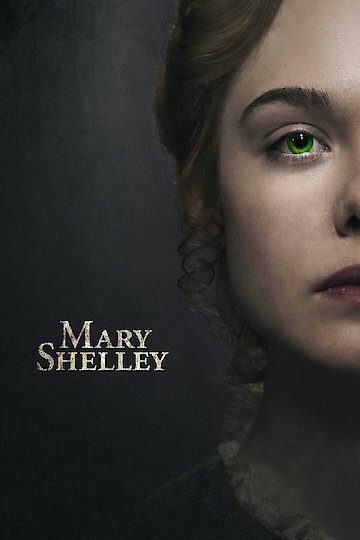 Mary Shelley is currently available to watch and stream, download, buy on demand at Showtime, Amazon Prime, Vudu, Google Play, iTunes, YouTube VOD online.